MANILA, March 22, 2017: Real estate agents need to be able to manage their listings reliably, fluidly, and on the move, especially since real estate is moving online. The new version of property portal Lamudi’s app brings real estate brokers an efficient and highly functional way of listing and selling properties. In many emerging and frontier markets, such as the Philippines, new Internet users are skipping desktop and heading straight to the smartphone with its plethora of apps and social media outlets. In fact, according to Ericsson Mobility Report released in mid-2016, the Philippines’ number of smartphone users is expected to double from approximately 40 million to 90 million in 5 years, a boom that is driven by the increasing affordability of these hand-held devices. In the first quarter of 2016 alone, about 3.5 million smartphones were shipped to the Philippines, according to data from the International Data Corporation. 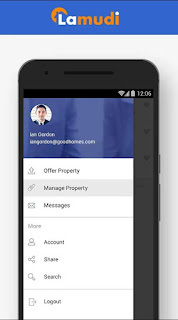 Therefore, Lamudi’s app responds to this exciting trend by giving sellers and brokers access to the millions of house-hunters who are actively seeking a home using their smartphones. How Does the Lamudi App Work? From uploading new properties and managing inventories, to receiving client messages and performing advanced analysis, brokers can take care of everything at the tap of a finger thanks to the application. 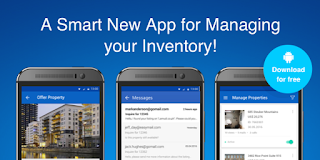 The app’s top priority is to help brokers to showcase their business in the most impressive way possible. Through creating a detailed profile and a thorough description of their services, brokers and sellers can demonstrate their reliable and transparent services and gain the trust of potential clients. Clients can see photos of each property, complete contact details, and precise information about each service. The app’s design is important, especially for clients, who value not only usability but also a clean and attractive design. This makes using the app a more pleasant experience. Recent updates include the integration of a progress bar on the “Manage Properties” tab. Brokers can now preview their properties as they go along and monitor the speed of uploads when they add new information or new images. In addition, it is now possible to add breaks in property descriptions, making the layout of each property description more visually appealing to house hunters. The world of real estate is constantly being transformed by technology, and the Internet has played a large part in the globalization of real estate investment. Presenting properties on Lamudi’s international platform opens up agents’ listings to investors from all over the world. When listing properties, agents can now add a currency code. Each property’s price can show up both in US dollars and in Philippine peso, whatever suits the agent’s target market best. Through innovation and global expertise, Lamudi offers brokers and house-hunters flexibility and a wealth of enhanced features. Selling and renting has never been easier, and the engineers at this platform are always striving to go further.